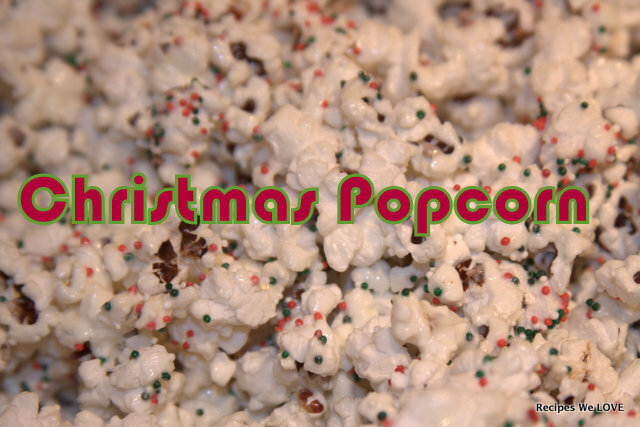 We LOVE popcorn at our house and Chocolate Popcorn is a favorite so this makes it a little more festive and my son thinks it is great fun. 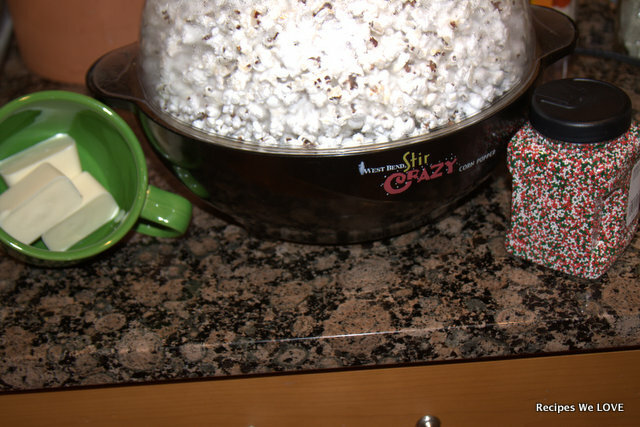 Over the popcorn pour melted almond bark, I put my in the microwave for about 45 seconds. 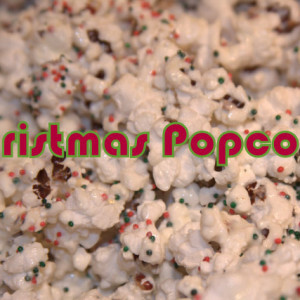 If you are using microwave popcorn you will want 1 1/2 - 2 pieces of almond bark melted per bag of popcorn. 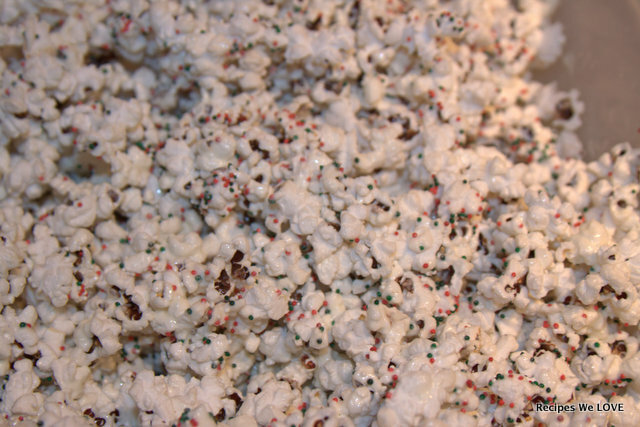 Then once the popcorn is coated well add the sprinkles.